Somehow, I have never had any trouble finding vegetarian food …be it Croatia, Iceland, Thailand or China. I had heard harrowing stories about visiting china as a vegetarian. I just got back after almost a week in Beijing and loved sampling the food there…it was so fresh and delicious. There was plenty available for vegetarians and I enjoyed the local flavours. 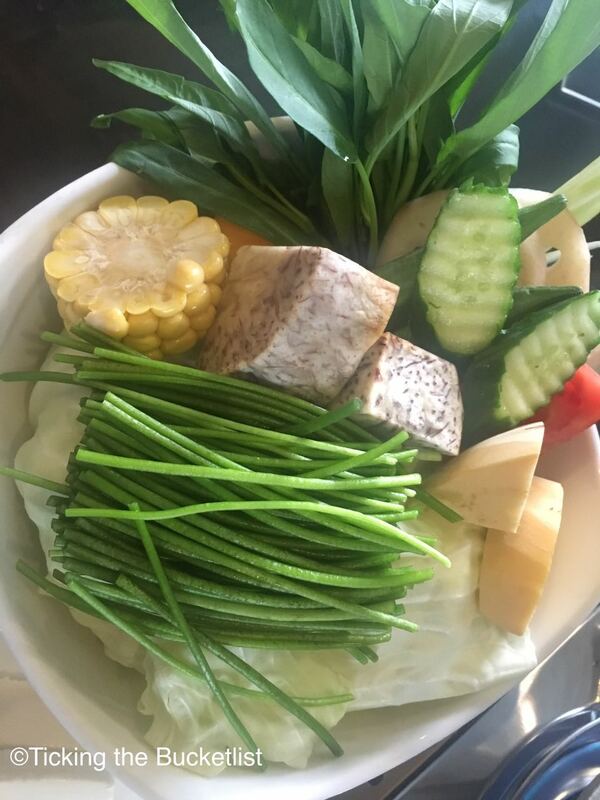 While the case might be different for smaller cities in China where few people know English and even fewer understand the concept of vegetarianism, Beijing was surprisingly awesome for a vegetarian foodie! Use the internet: Refer to www.happycow.net. The website lists down vegetarian restaurants in any city. 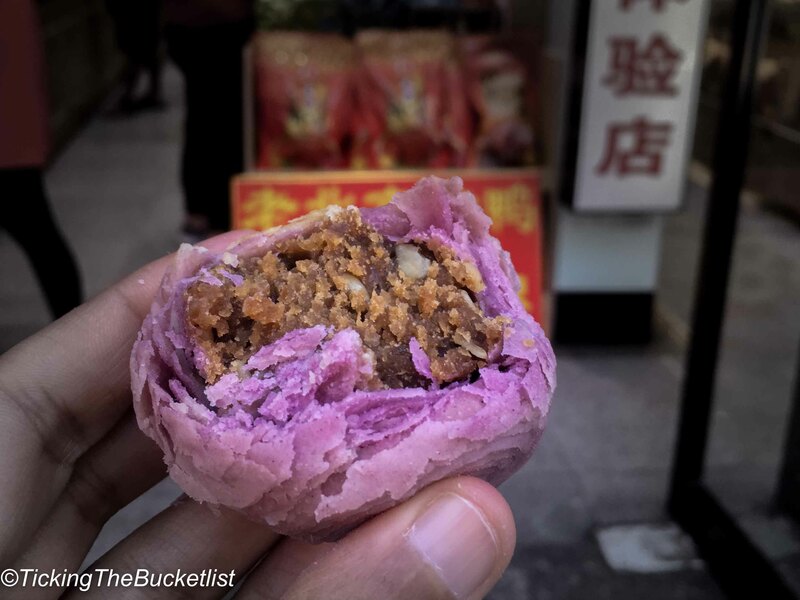 Scroll through it and you will find plenty in Beijing, especially around the tourist areas. Write it down: Ask a local to write ‘vegetarian- no fish, no sea food, no meat’ in Chinese/Mandarin on a piece of paper so that you can show it to the waiters in the restaurants; not all people know and understand English and this piece of paper can be very useful. Remember, Google translate does not work in China. ‘Monk-ing around’: Ask/search for ‘monk food’ or ‘temple food’. This is food without any meat, poultry or fish and contains ‘mock meat’. Usually, such restaurants are close to temples and monasteries. It is best to ask your hotel/hostel about their location and try eating here the day you visit the temple. Dumplings to the rescue: Try the dumplings… you cannot come back from China without having any! 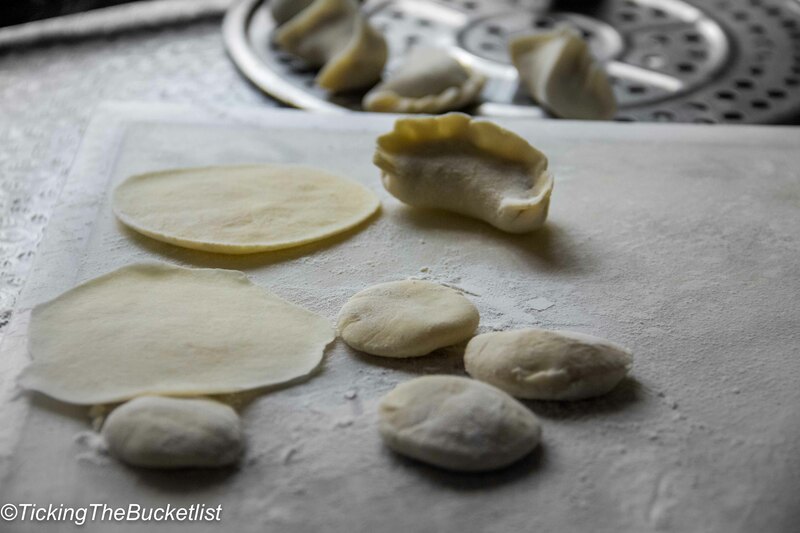 Join a dumpling making class and make your own vegetarian dumplings. My favourite place is Din Tai Fung, the Michelin stared restaurant chain, which has outlets across Asia. 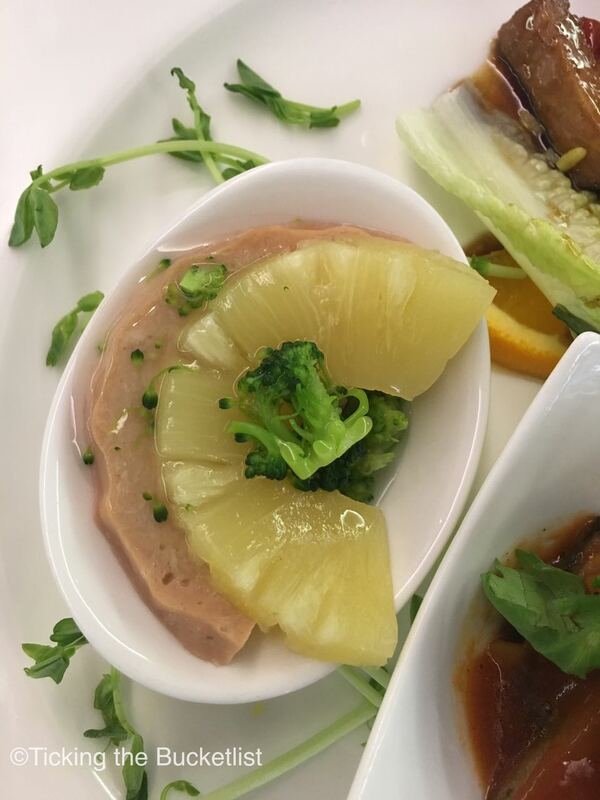 You will always find a few vegetarian dishes on the menu … and it’s very affordable considering its reputation of being one of the best. Customise your hot-pot: Add what you like in the hot pot… mushrooms, tofu, vegetables… you really make your own dish in this case. 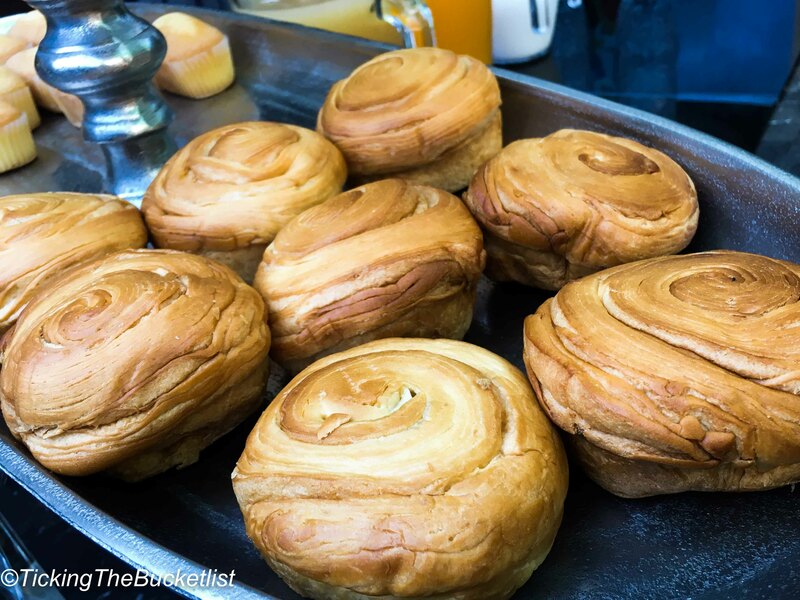 It is one of the healthiest options that you have while in China. 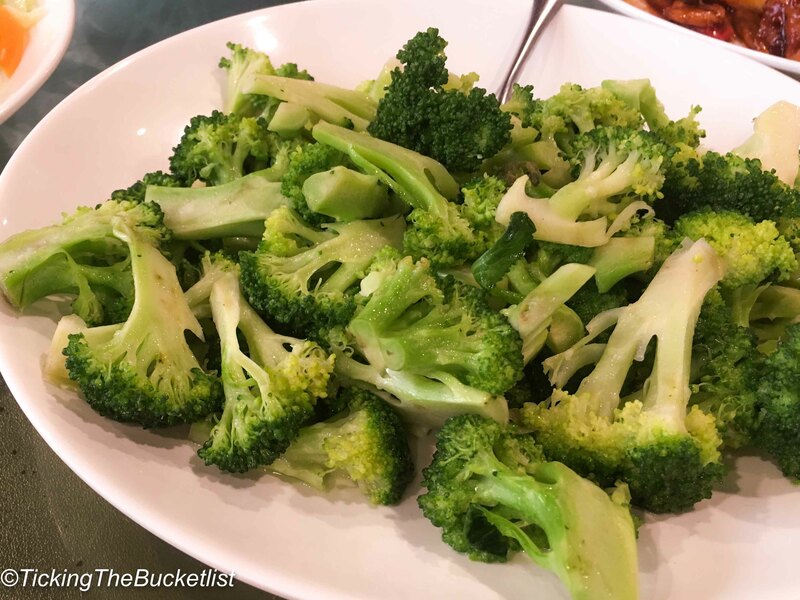 Vegetables for the vegetarians: Stir fried vegetables, including broccoli, cabbage, potatoes and mushrooms are available in plenty. They make a filling and healthy meal when accompanied with white rice. International food chains: If you are craving some bread that isn’t usually available in local Chinese restaurants, which almost always serve rice, make your way to one the many international chain restaurants… Starbucks, Pizza Hut, Costa Coffee… enjoy a cupcake or a sandwich with a cup of coffee. 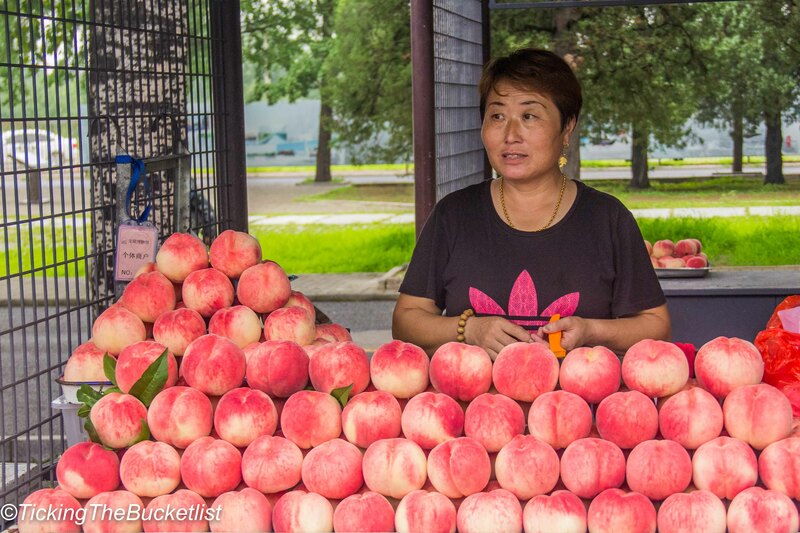 Fresh produce: Fruits are awesome in China! The country is big and produces some delicious fresh produce, which is easily available at grocery stores and near tourist attractions. I sampled some plums and peaches… sweet, juicy and delicious! Desserts: If you have a sweet tooth, the Chinese desserts are worth sampling. However, be aware that they are not cloyingly sweet…and are very different from Indian desserts. 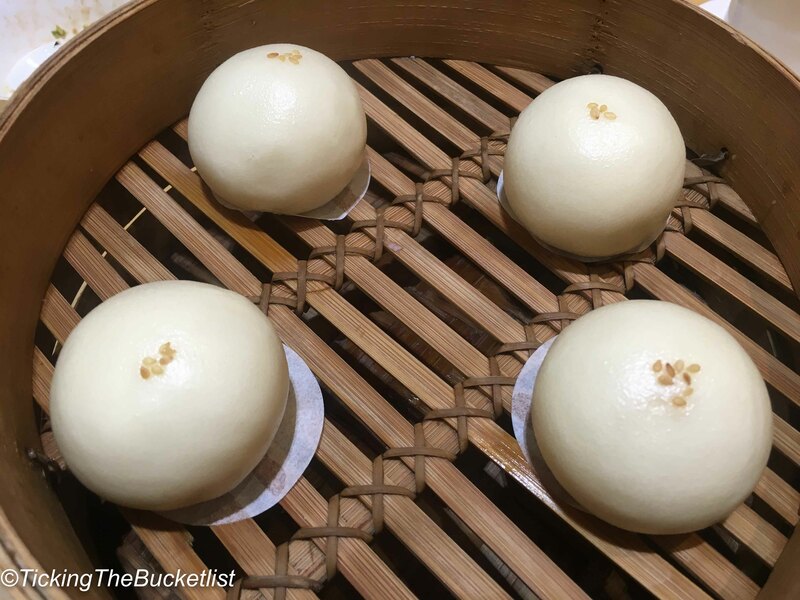 The bao with sweet red bean is totally fit for vegans. If you do eat eggs, you can try some cakes, biscuits and ice creams too. Local dessert… vegetarian and eggless! Cook your own meal: If you are just too fussy about what you want to eat, stay in a hostel with a kitchen or rent an apartment so that you can cook as per your taste. There…see, so much for a vegetarian to try in Beijing! Bon apetit amigos! That’s a great tip about writing down in Mandarin, it’s easy to forget there’s no Google Translate in China! The veggie dumplings look delicious, and those sweet bao buns. Good to know you still ate well! Although I’m not a vegetarian, I am so glad you wrote this post. Many people don’t like to travel because they think they have to limit themselves when it comes to food. You have shown vegetarians that it is possible to enjoy a variety of food in China. without compromising their beliefs/personal choice. Being a vegetarian myself this post is going to be of great help when I plan my China visit in future. So far minor inconvenience aside I had no issue in finding veg food while traveling. Like you said a lot of vegetarians find it difficult to find veg food in China, but I guess a bit of research like yours might help a great deal. Thanks for the share! Asian vegetarian food is delicious! Usually is all about finding the right places and know where to go! Now you are making us craving for some vegetarian DUMPLINGS <3 ! What great pictures! I’m not vegetarian but I usually prefer vegetarian dishes. Also, I absolutely love Din Tai Fung. We didn’t eat at the original location in Taiwan because we have 2 locations near us in California, but I wish we had. What a great and helpful article! 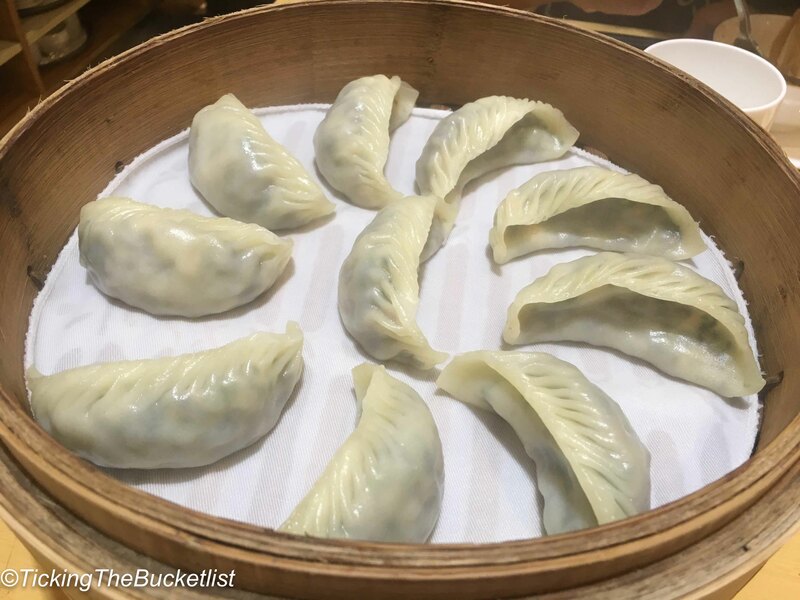 I have only stepped foot in China for a few hours when having a layover in Guangzhou and even in the airport the vegetarian choices were limited – I did have some delicious vegetarian dumplings though so your dumpling tip is a good one! It’s a fantastic idea to get a local to write down phrases for you! Haven’t had the chance to taste Asian vegetarian cuisine…looks so delicious! My husband is a vegetarian and I can tell him that we can travel to China too. This is a very helpful post for vegetarians traveling to China. You have made it easier because the moment someone mentions China, the general notion goes that there will be no veg food. love the idea about writing local phrases on the piece of the paper.